What's the long and short of it? 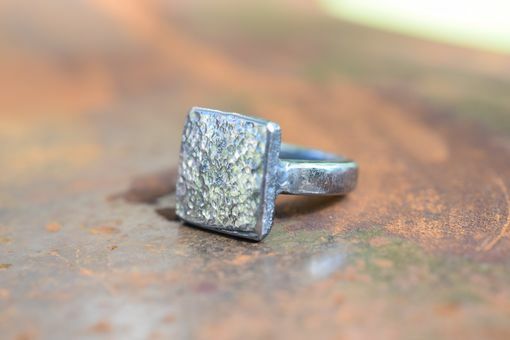 This listing is for one steel ring that will be handmade to order using a railroad spike slice. The railroad is a rusty old beast that's sprawled across the world; built upon strong backs and hard ground, fed on coal and fire. I love this creature deeply, though we've never truly met. Born too late to ride the rails in earnest, I find other ways to keep her by my side. 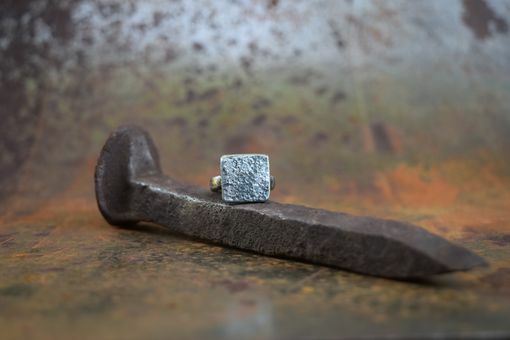 A slice cut from an antique railroad spike. A simple steel band, hammered and ground into shape. 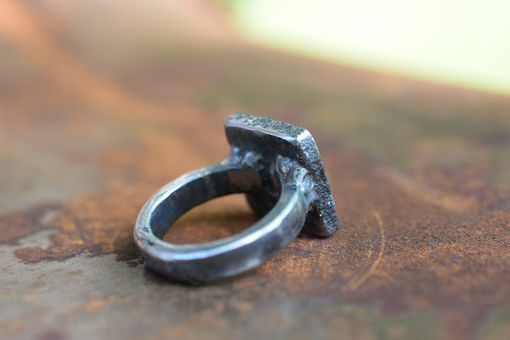 The two pieces welded together form an interesting ring steeped in history. Can be made with different finishes, braille lettering, or customized bands. 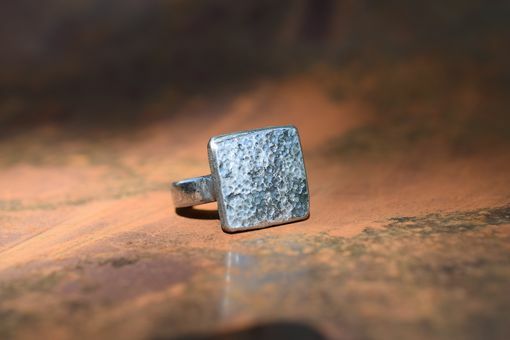 When ordering, enter your desired ring size in the Note To Seller area. 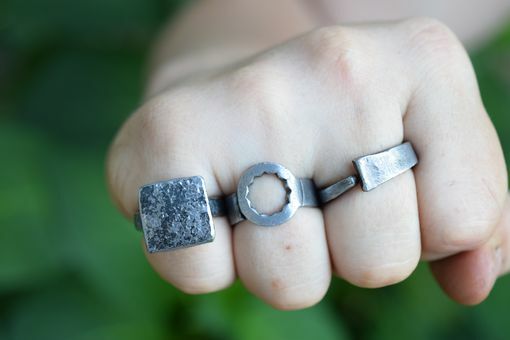 These rings are made of regular steel, not stainless. If treated carelessly, they will rust. 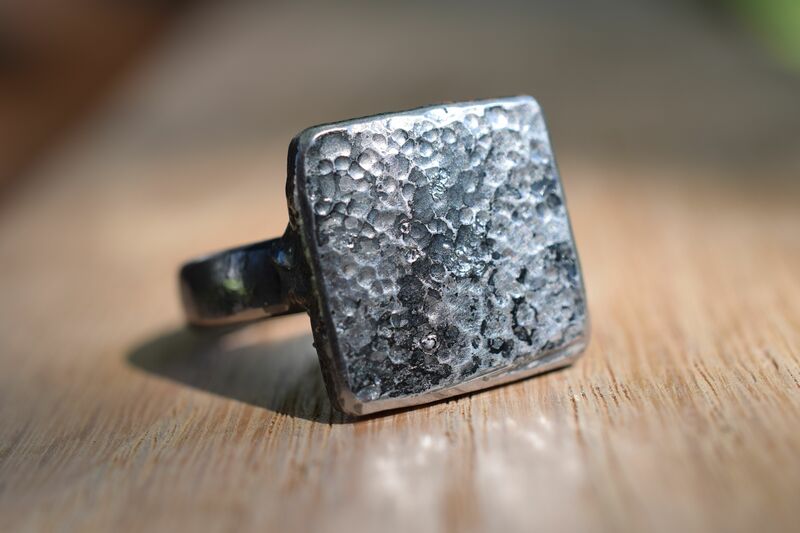 Returns may be made if a ring arrives damaged or incorrectly sized. Please provide the right size when you order!